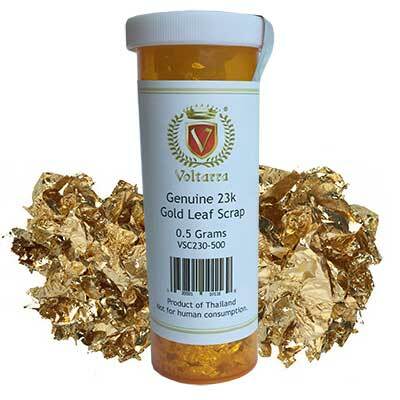 23k gold leaf is one of the more popular colors. We have it in transfer and loose leaf books, in both standard and double leaf. 23k double roll gold is 67' long and made in widths from 1/4" up to 3". 23k is also available as scrap.